Seventeen-year-old Aubree has always idolized her adventurous older sister, even while utterly content to track Elizabeth’s antics from the cozy comforts of home, in the tender care of doting parents. So when Elizabeth gets herself in “a touch of trouble” and, for the first time ever, actually needs Aubree’s help, Bree is flattered but insistent. There’s no way she can do what Elizabeth is asking. Impersonate her recent-college-grad sis all summer, just so Elizabeth can score the recommendation she needs to land her dream position? Nope, nope, not gonna happen. ESPECIALLY when Elizabeth’s summer job is leading a bus tour. A bus tour across Europe. A senior citizens’ bus tour across Europe. And that’s even before Bree finds out that the tour owner’s super-cute son (who is decidedly NOT elderly) will be a last-minute addition. Bree would have to be crazy. Or would she? 1. The setting – The hills are alive with the Sound of Music … Loved the musical tour! And every other stop on the trip. I felt like I was cruising through Europe along with the bus–and now I really want to visit these places! 2. The seniors – Each of these characters is unique and well-drawn. They aren’t just thrown on the bus as background for the story. I love how Aubree learns something about herself from each of them. It was different to have the friends in the story be senior citizens :). 3. Sam – I love Sam! He’s the perfect foil for Aubree’s shy, sheltered, needs-to-be-pulled-out-of-her-shell character. He also interacts so well with the seniors on the trip. 4. The romance – Aubree and Sam are so completely adorable together I can’t even describe it. The way their banter starts out … well, I just realized after reading the description again that if I actually tell you how it starts out I’ll kind of spoil things so I won’t. But trust me, it’s adorable. 5. Aubree’s character arc – I love the way Aubree grows throughout the story, especially since she didn’t even realize she needed to. Often you start out in a story and it’s clear that the character has an issue he/she needs to overcome, and in this case, maybe Aubree would have been fine or figured it all out later, but it was great to see her come into her own. I actually could come up with another couple of points but I’ll let you find out for yourself. 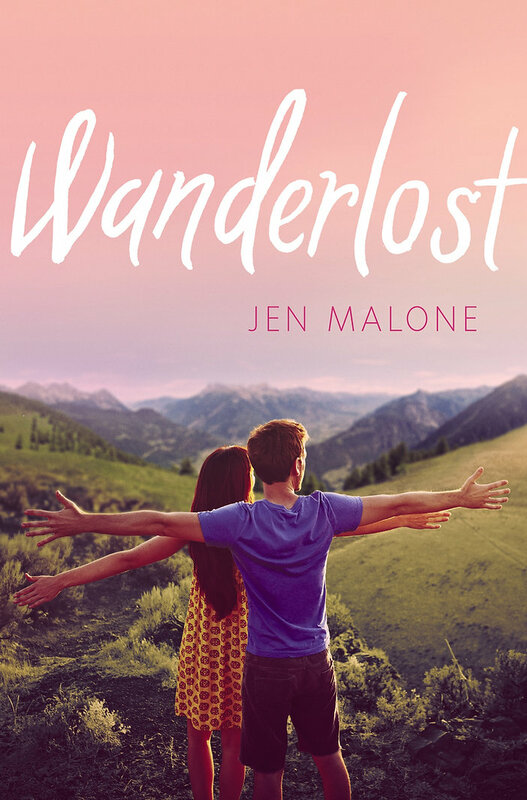 You can pre-order WANDERLOST at one of these handy links provided on Jen’s site. Or, she tweeted yesterday that bloggers can request review copies through Edelweiss at this link. Either way, make sure this book is on your list for 2016!